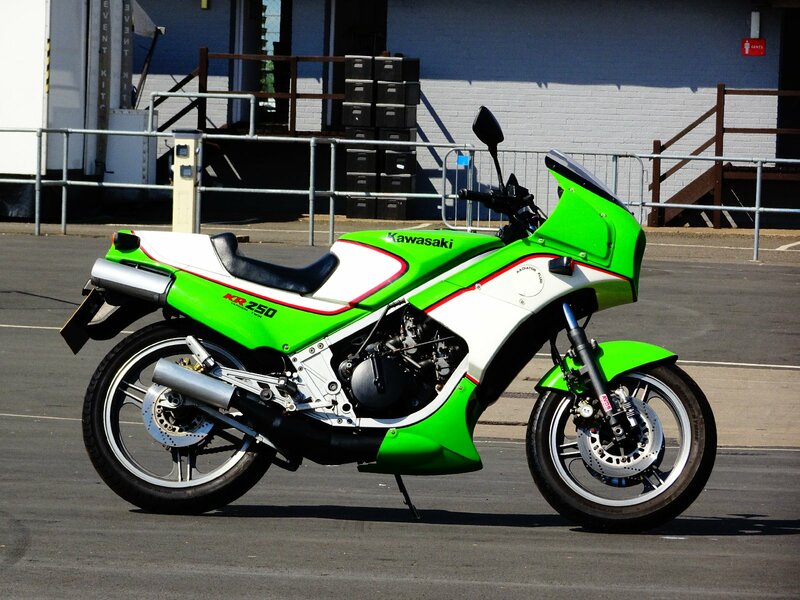 I didn't venture on track with it this time, just rode it round the paddock a couple of times. I was there and spent an enjoyable time on your stand looking at all the fantastic bikes, spotted the NSR150(malaysian market bike?) as well as your lovely KR, wish id seen it running as ive never seen one moving under its own power! You should have said, I'd have fired it up and you could have gone for a bimble round the paddock on it. Now you tell me! What show you boys n girls at next? Ah, you can't beat a good bimble on a KR!!! Any ideas where my old KR is these days, as you seem to keep tabs on where they all are? What show you boys n girls at next? Next official show will be Stafford in October. The organisers there clamp down hard on anyone starting a bike inside the halls though, and it's far too busy to ride anything there. Donington was pretty quiet and laid back. Hopefully we'll get enough volunteers for Stafford that I don't have to take any of my bikes along again anyway, everyone's sick of seeing them by now. Sorry Gary, I've lost track.